If your garden is bursting with zucchini or if you’re just in the mood for a good quick bread, here’s our family’s latest, greatest favorite. 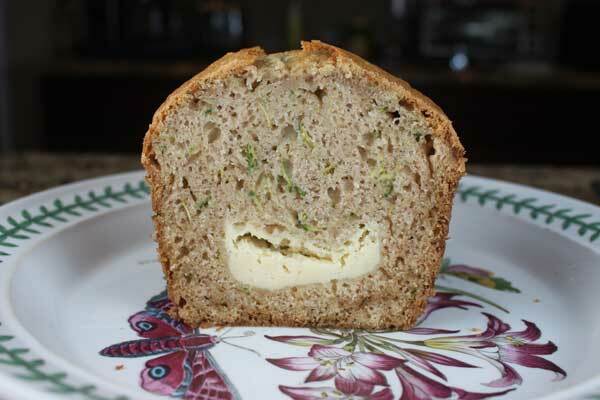 It’s a zucchini bread with a cream cheese filling. It bakes up with a nice dome, is moist without being mushy, and has a “surprise” ribbon of cream cheese filling running through it. Just make sure you let it cool for the requisite two hours, otherwise it doesn’t slice as neatly. Zucchini bread with a cream cheese filling. Preheat oven to 350 degrees F. Grease the bottom only of two 8x4 inch loaf pans or line the bottoms with strips of parchment**. In a small mixing bowl, beat the cream cheese and sugar until smooth. Stir in the egg and vanilla. Set aside. In a mixing bowl, stir together the sugar, eggs, oil, zucchini and vanilla. Add the flour mixture to the wet ingredients and stir until mixed. Pour about 1/2 of the batter into two greased loaf pans. 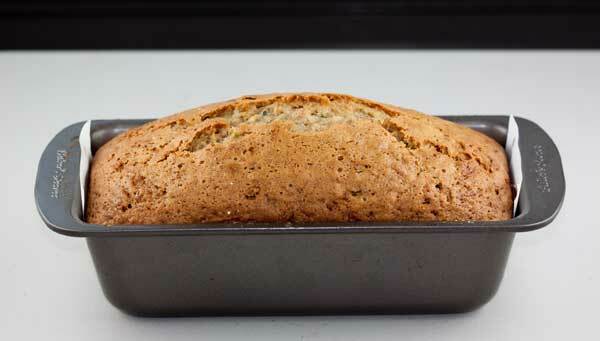 Spoon a line of cream cheese batter down the zucchini bread batter, dividing evenly between the two pans. Cover cream cheese mixture with remaining batter. Let cool for 15 minutes. Loosen sides of loaves with a knife, then carefully turn from pan and let cool completely before slicing. Other than the cream cheese filling (which I’m sure my family would love), my recipe is similar to yours. 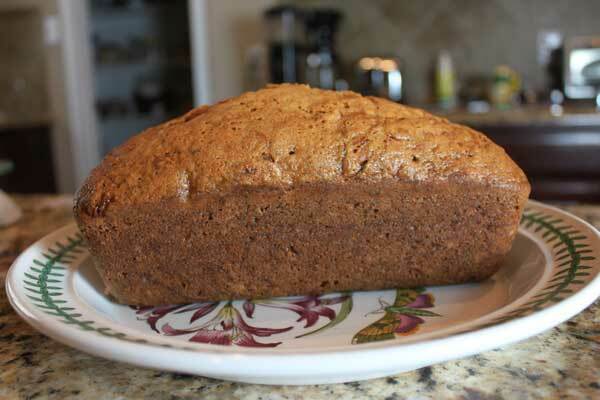 I often make one loaf of zucchini bread and use the remaining batter to make muffins. If the muffins are wrapped well with plastic wrap after they have cooled, they can be frozen and quickly defrosted for a snack or to include in a packed lunch. Definitely going to try the parchment paper hint this week!